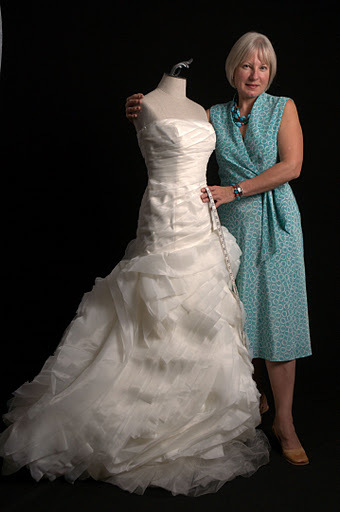 Virtually every wedding gown or special occasion garment needs to be altered in some way to achieve the perfect fit; essential for looking your very best. Depending on the construction details, fabrication intricacies and redesign that is required on your gown, creating a custom fit takes time. Allow about six weeks for simple alterations such as adjusting the length, and more time for complex alterations that effect the design. Within this time line we will schedule two to three fittings to make sure your dress is picture-perfect for your special day. Bring your shoes, undergarments, headpiece or hair accessories, and your jewelry to all fitting appointments. With all the pieces in place, you will be able to evaluate your overall look and make necessary adjustments. Please keep in mind that each garment is unique in construction detail. For a quote on your individual garment please contact me via telephone or email.